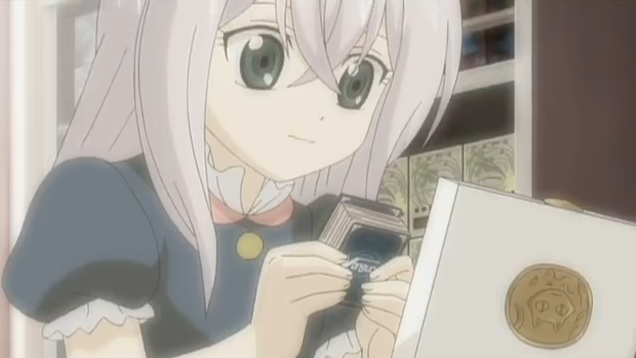 This episode features the Card Capitol shop girl, Misaki, who has an unexpectedly traumatic past. 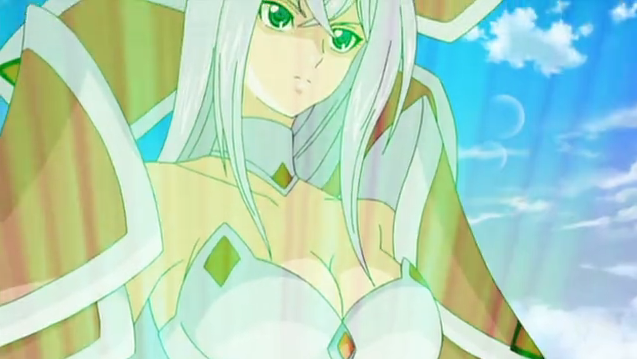 Episode 24 of Cardfight!! Vanguard turns out to be very different than I had anticipated. Apparently they are continuing with the series, and this episode only starts a new, non-tournament-based arc, instead of wrapping up the series. 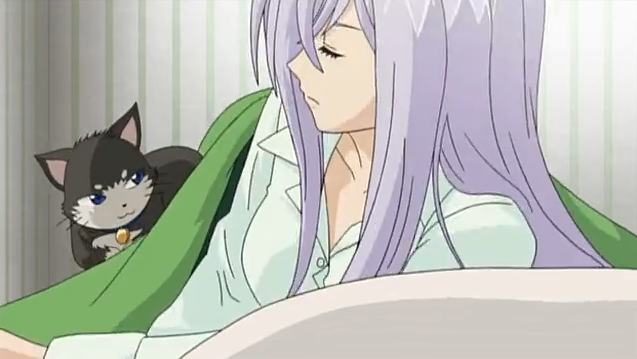 As the episode opens, Misaki is looking a lot younger than last episode. A younger version of the shop owner bursts in to say something awful has happened. I guess it was all just a dream. Wasn't it? 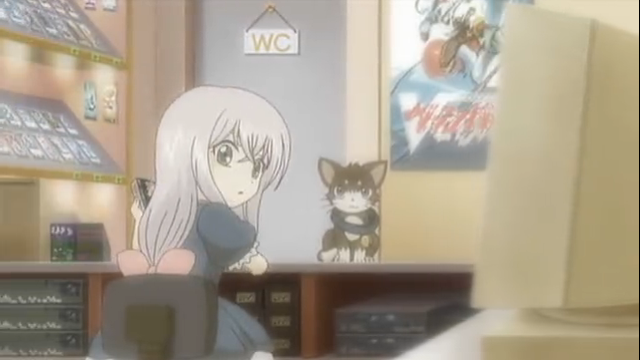 You know, I could complain about how the cat (the assistant manager) doesn’t act like he is at least ten years old, but I am pretty happy that we are finally digging into Misaki’s character. I thought it was odd that she was in almost every episode, but barely had a line, until she won a place on Team Q4, then I expected her to have a more prominent role, but she ended up sitting out the entire regional tournament. It’s about time that they did something with her character, so even though it isn’t subtle, I’ll take it. 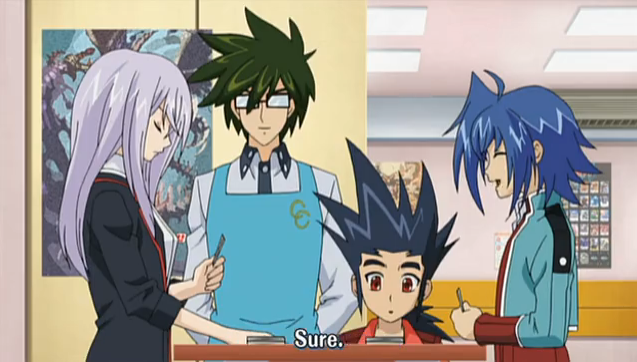 Misaki and Aichi fight to hone their skills before the national tournament. 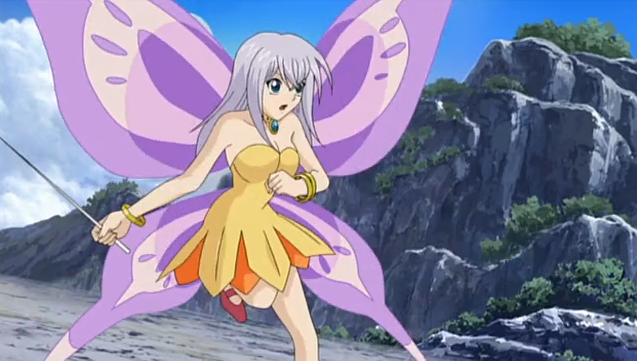 Misaki's level 1, under attack. Eyecatch: Misaki and her level 3 vanguard, CEO Amaterasu. 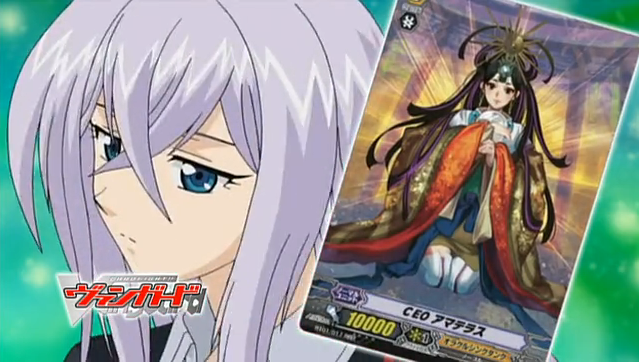 It hadn’t really been explained before, but Misaki knows Vanguard cards quite well, despite having only played a handful of games. 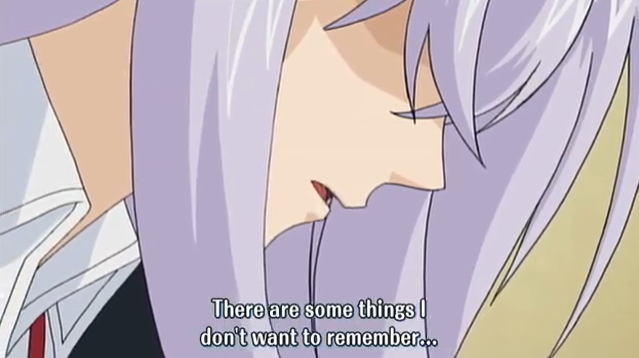 In this episode we find out that she has an excellent memory, perhaps a memory that is a little too good. BTW, her signature card, Amaterasu, is a Shinto sun goddess, who was said to have been the founder of the line of Japanese Emperors. 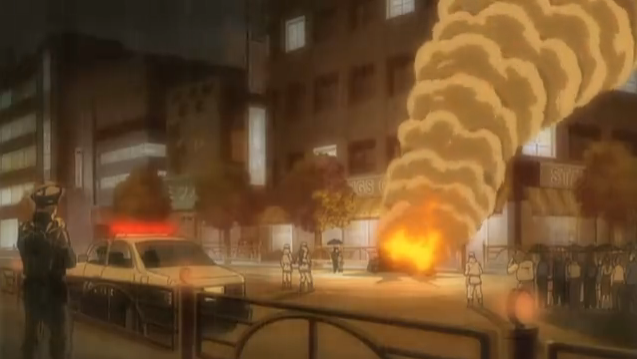 As it turns out, Card Capitol originally belonged to Misaki's parents. While playing her match against Aichi, Misaki recalls the terrible day her parents were taken from her. Deciding these memories are too painful to relive again, she decides to quit Team Q4, in fact quit playing Vanguard forever. 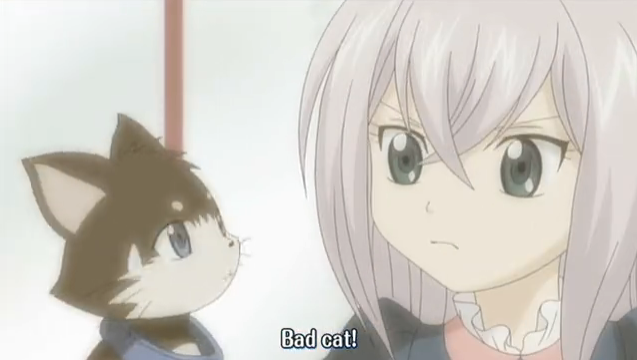 It was a very sad background story for Misaki. I think there were parts that didn’t quite work for me, such as Misaki’s disappointment at not having been taught how to play by her parents. I certainly wouldn’t call this subtle writing, but, as I said above, I appreciate the fact that we are finally getting some insight into Misaki’s character. I also have to admit that this takes the story in an unexpected direction, and it is nice to be surprised. 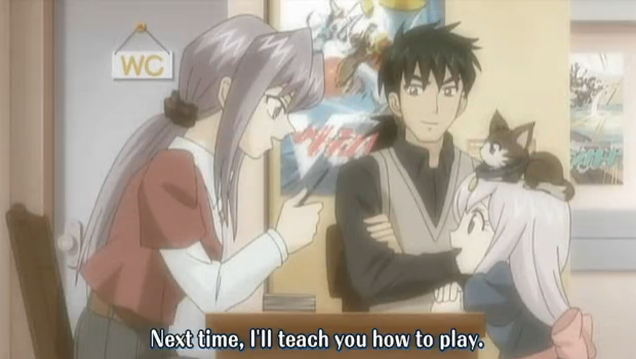 This is probably the most serious this series has been since Emi saw that her brother had grown by playing Vanguard with his new friends (about twenty episodes back). 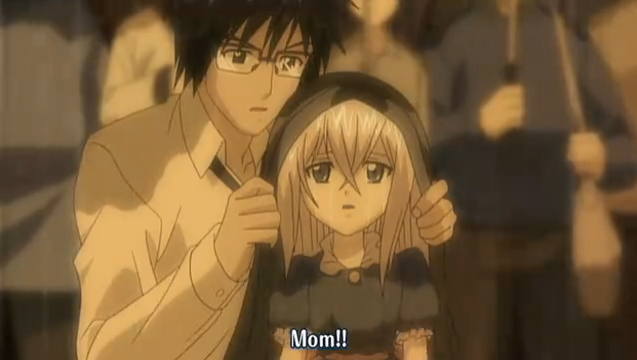 I hope Misaki will also get an opportunity to grow, and overcome the painful memories that are holding her back. She has always seemed like a character with more potential than was being put to use. Now that they have opened a window onto her character, it would be great if they could bring her on as a real member of Q4.